Community engagement through the arts, sport and education. All views are my own. 2014 – a great start to the year! We’ve had a great start to the year at The Huddle with growing numbers of students attending our Study Support program and some new programs for schools. Newly arrived secondary students came together for a day to explore career options and pathways. 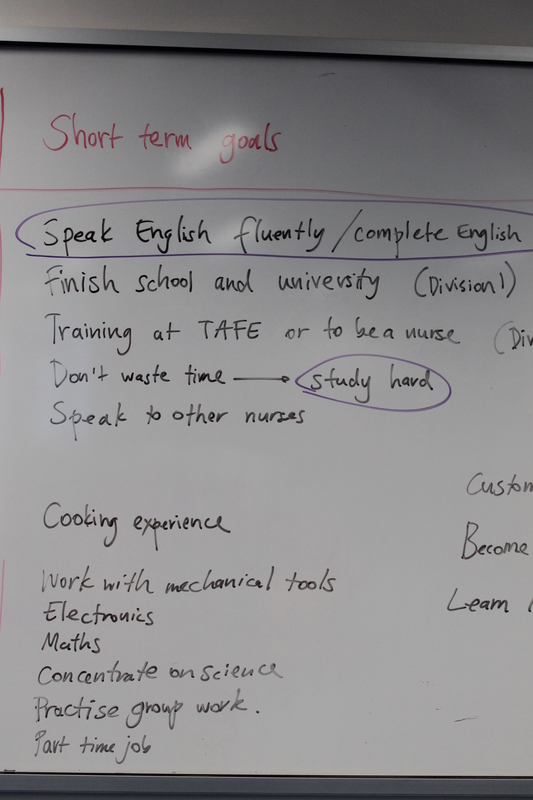 Aged 16 and over, the students are nearing the end of their intensive English language centre programs and are soon to enter secondary schools and TAFE. 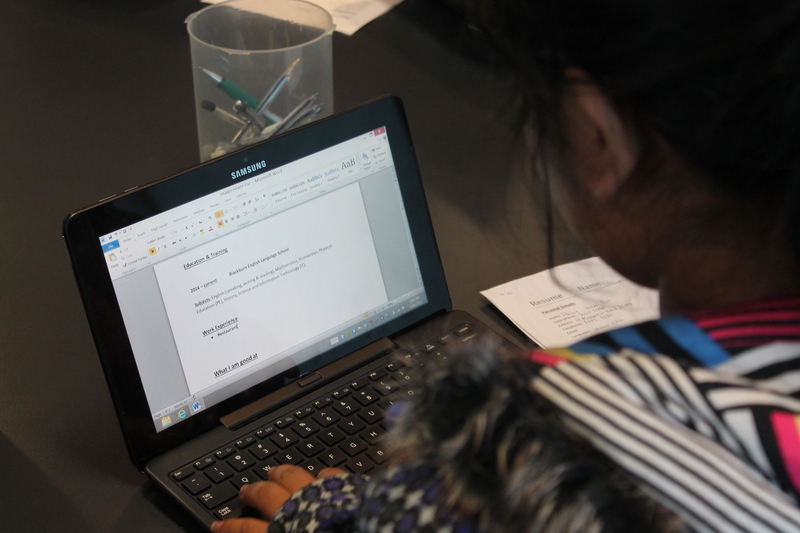 A group of committed volunteers supported each student to leave with a resume on a USB stick, increase confidence about where to study and work and identify some long and short term goals. VCAL students from St Aloysius College and Simonds Catholic College came together each Monday to explore health campaigns around gambling, tobacco, healthy lifestyles and racism. Later in the year, they will design a campaign to present face-to-face and in a digital format. Brunswick English Language Centre students learnt history by examining primary sources relating to the settlement of Melbourne. 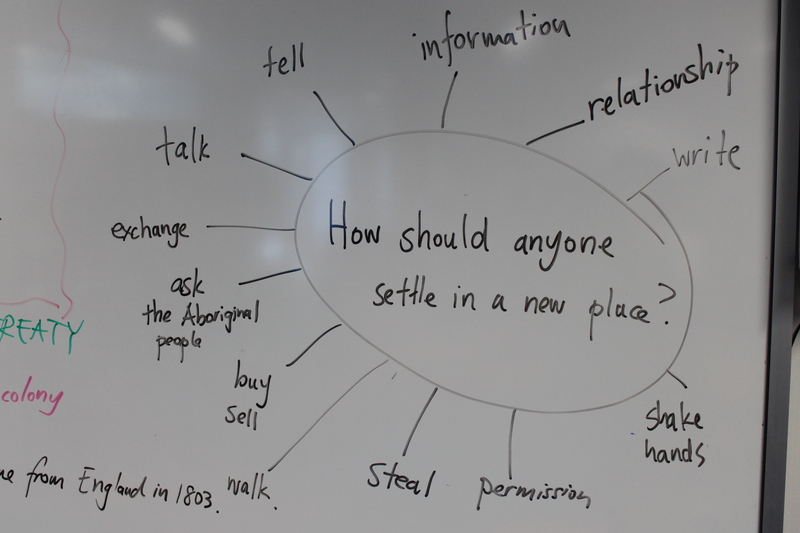 Whilst the topic is vast and ambitious for newly arrived students, it was possible to navigate key concepts by asking students how they might approach a people in a place they wanted to settle and what you should do. We then went on to introduce the word “colonisation” which they were able to relate to their home countries or other countries they knew of, either as colonisers or the colonised. Mairead Hannan Blog at WordPress.com.